A few months ago Ava was sent the most beautiful dress from Roco Clothing, she wore it to her 5th birthday party and received endless compliments, so when we were contacted again asking if Ava would like to review another dress, how could we say no?! Ava chose her dress, the Olivia by Paisley of London, with a flower crown and shoes to match and on the day they arrived she was bouncing with excitement. The items were even better than we could have hoped for, the dress arrived in it's own special dust bag and the shoes came beautifully boxed. She eagerly tried it all on and told me that she felt like a princess. The Olivia dress is just stunning, the first thing that caught my eye was the lace & sheer detail on the sleeves, the buttons up the back and the full skirt make it a truly breathtaking piece, the embellishment on the bodice has also been hand sewed which makes it extra special. We teamed the dress with the ivory "Tulip" shoes which have a T bar detail and sweet little bow and the pink flower crown made the look complete. With the Summer months commonly known as "wedding season", Paisley of London have a gorgeous collection of dresses perfect for your little flower girl or for any other special occasion you may have, Ava will wear this dress to Oliver's Christening (when we finally get around to organising it!). I am once again blown away by the quality of the items from Roco Clothing and highly recommend the stunning new Serenity collection by Paisley of London, which you can see more of here. *We were sent these items free of charge in exchange for an honest review. 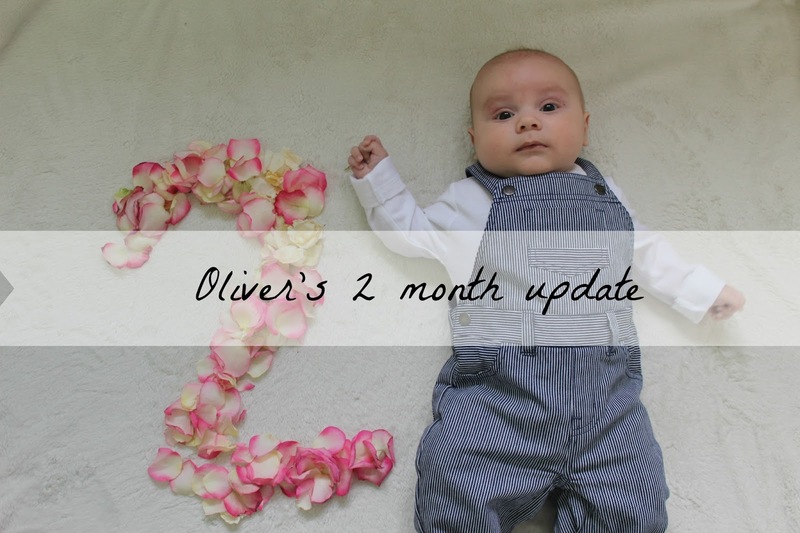 I've been trying to get Ollie's 2 month review up for over a week now, I finally had it all finished and it didn't save! Anyway, 2 months already, my gorgeous boy! 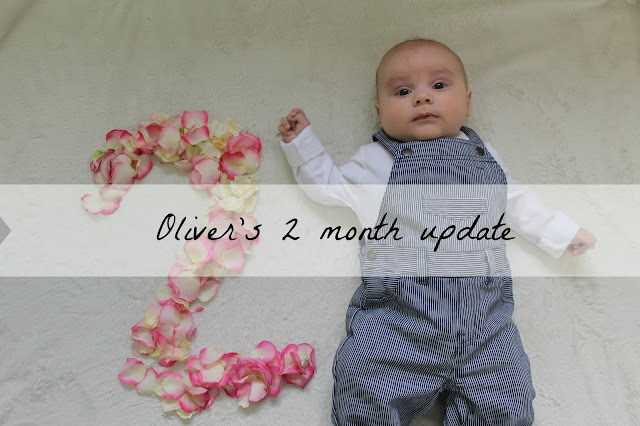 You can read Ollie's 1 month update here. Weight: I'm honestly useless with this. I always go by clothes & nappy size. Ollie is currently is age 0-3 month clothes and size 3 nappies. Although he is filling his clothes so I don't think it will be long until we move up a size. He's such a chunky boy with gorgeous arm & leg rolls and the most beautiful chubby cheeks! I love a roly poly baby! What he looks like: His eyes have started to change and they are definitely going to be brown like mine. He's going to be a blonde baby too. It's crazy how similar he is to Ava when she was his age! There is no mistaking that he is a little boy though and I just love his chunkiness! Feeding: We're still feeding Ollie on demand. He usually has 5oz bottles with a 6oz bottle in the evening. He feeds every 2-3 hours so we need to think about upping his bottles to 6oz and seeing how we get on. He is a hungry boy and I know he'll love his food when the time comes. Sleeping: I can't complain about his night time sleeping routine, if we time it right with his last bottle he usually falls asleep around 9pm and will sleep until 3am. And once he's had his bottle he'll sleep until 5.30/6am. His day time naps are few and far between, he'll usually have his longest stretch in the morning and then cat nap but I would rather have it this way around! How I've been feeling: I'm tired but happy. I've started my fitness routine again and am on track with my healthy eating, which is hard when my husband is still buying cookies and sugary cereal but I'm determined! I'm back into the routine of pampering myself be it regular eyebrow waxes or fake tanning and doing my nails. I think it's so important for us to take care of ourselves first, we're then in a better position to look after our families. What we've been up to: As I said above Ollie and I have been enjoying baby sensory, I've just booked us on for next terms classes. He really enjoys it and it's nice to do something together. 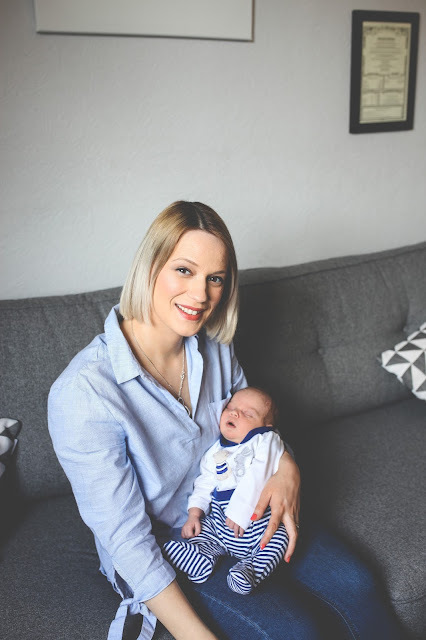 I go back to work at the end of August and I know that it's going to pull on my heartstrings, something that I didn't expect as much with him being my second baby, I wrote a blog post about it. We have Disneyland Paris coming up in a few weeks so I need to get little Mr's passport off asap! I know that he won't remember it but I'm so excited! To celebrate the release of Hallmarks Disney princess cards, including new Beauty and the Beast cards, Ava was sent a box of goodies for her own princess party, including a set of their gorgeous new cards. We love a party in this house, and the fact that it's not long been Ava's 5th birthday party didn't stop us! Ava put on her best gown. grabbed her best girls and gave them a tea party in the front room. They of course were each given a card. With Ava being in School nowadays and being invited to a few birthday parties a month, I am always on the hunt for beautiful, well made cards and I think I may have struck gold with the new Hallmark range. Not only will the card thrill any Disney Princess fan, some have the added surprise of a puzzle, colouring and even a play set with removable characters, they are more than just cards. They also have ones for parents which is adorable, I love the fact that children can choose cards for their parents based on their own favourite characters. To celebrate the release of the new Beauty and The Beast cards, Tesco are running a competition for you little one to win the dress of their dreams, not only for themselves but for a friend too. All you need to do is purchase a Disney card from a participating Tesco store, grab a leaflet and your budding princess needs to design the princess dress of their dreams, you can find more information here. You can find everything that you need in Tesco, to create a Princess party for you little one that they're guaranteed to remember. From princess tableware to toys, you'll have all basis covered; and now the cards to match. Ava is heading to a party this weekend and has already chosen the card that she is going to give to her friend, although it did take a lot of deliberating. My personal favourites are the Beauty & The Beast cards with quotes on the front, they are beautiful and I'm thinking of having them framed for Ava's bedroom, there's nothing like a little princess positivity to get you through the day. More information about Hallmark can be found on their website. *We were sent the cards and party pack free of charge in exchange for an honest review. On Tuesday Ollie and I had our first baby sensory class, it went really well and I got chatting to a few mums, the lady next to me had a beautiful baby girl. 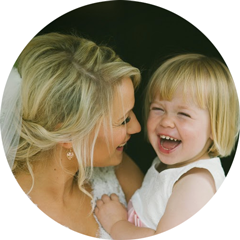 She was gorgeous, so bright eyed, happy and smiley. She was rolling over and holding her head up but not yet crawling, she was almost 6 months old, still very much a baby, then it hit me. Ollie will be a week off 6 months when I return to work, full time, at the end of August. I suddenly felt desperately sad, I've always said that Oliver will be our last baby, I am happy with two children but now I've realised that this is it, all of his firsts will be my lasts. He is such a sweet, happy boy and I just know he's going to be a mama's boy. Yesterday he was lying on the bed next to me whilst I did my make up and I caught him a few times smiling at me when I wasn't looking, pure love in his eyes and my heart melted. How am I going to be able to leave this sweet boy for 40 hours a week?! I'm very fortunate that I don't work during the School holidays, and working in a private School we have a lot of holidays, but I'm worried about missing out on him. When I was pregnant I certainly didn't expect to be feeling like this, I thought it would be easier with him being my second, I didn't expect it to be harder with him being my last. In fact I was worried that I wouldn't love him enough! How wrong and crazy I was! This little boy has completely captured my heart. I'm so besotted with him! I know that when I go back to work it will be hard, physically and emotionally. I'll have two children and myself to get ready before 8.15am and they'll both need to be taken to different drop off points. I also won't be getting home until 6pm so it will be a case of dinner, bath and bed and I'm worried that I'm going to miss so much of Ollie's development. The silver lining is that I only ever work a maximum of 6 weeks before a holiday pops up, but I already know that those 6 weeks are going to be so tough. So I am going to do the best I can to soak up the rest of my maternity leave, I feel like the luckiest person in the world to have both him and his big sister and it's true what they say, your heart just grows when you have another baby. He's slotted right into our family, I don't know what we ever did without him! One of Ava's favourite things to do is watch toy unboxing videos on YouTube, she would spend hours watching them if I let her and I've often thought about setting up her own channel, if only I had more time to do so! 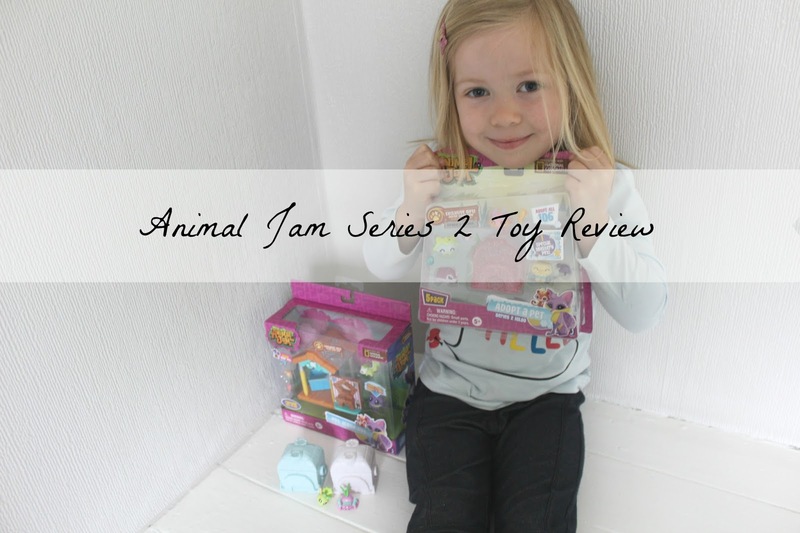 So you can imagine her excitement when she received the new Animal Jam Series 2 toys to review. The toys are based on the online game by the same name, created by National Geographic. Ava is familiar with the Animal Jam toys and has some from Series 1, so these were right up her street. The colourful, plastic collectables come in a range of different play sets. You have the individual "Adopt a pet" character packs which are always a big hit for those who love a collectable toy, you don't know which animal you'll find inside the little hut, which adds to the excitement. These come with a list of all of the collectables and their status, letting you know if they're common or harder to come across. Ava was delighted to have a couple of "Gem" animals (these have a glitter feature). You can mix and match the accessories and they also come with a scratch off code that lets you access exclusive content on the Animal Jam game website. 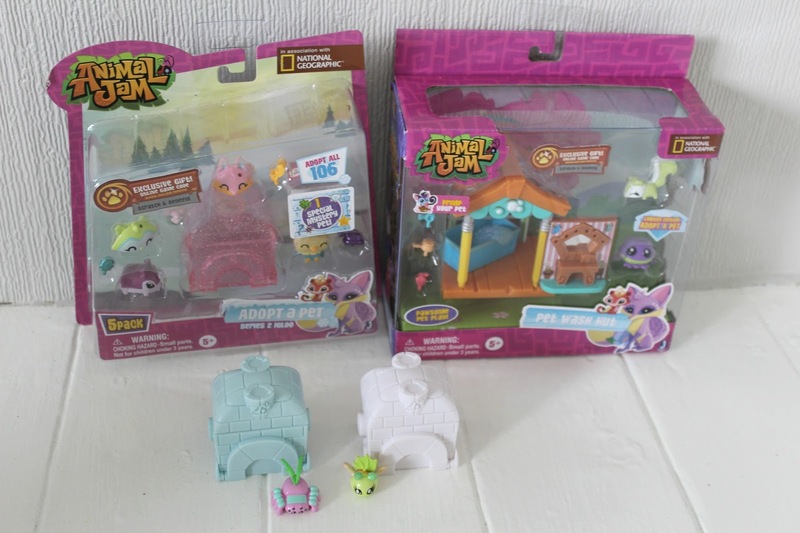 Ava was also sent the Igloo 5 pack which comes with a mystery animal, which she was very excited about, and the Pet Hut Wash which includes two pets and some accessories. Ava had a huge amount of fun playing with her new pets and she has already thoroughly inspected the list of pets and has told me exactly which ones she would like next. The Animal Jam Series 2 toys are available from all major toy retailers and you can find more information on their website. *We were sent the toys free of charge in exchange for an honest review. We've now been living in our home for almost 2 years, it seems like it was only yesterday that we were going through the stress of mortgages, decoration and a house move. Although we have made big changes to the house and have recently had our bathroom completely redone and Ollie's bedroom decorated, our bedroom and the kitchen still remain untouched. We're lucky to have a big kitchen/dining area and it's room that I am itching to redecorate but I also know that this is a huge, expensive undertaking! So for now I shall continue to browse Pinterest for the ultimate dream kitchen and will continue to fill up my imaginary basket of wish list items. I've listed some of my wish list items below and I think I could be seeing a couple of these in my kitchen very soon! Morphy Richards soup maker- My Nan has one of these and they are amazing. You just chuck all of the ingredients in, and in 20 minutes you have gorgeous, smooth soup. I think this would be a life saver when I go back to work after my maternity leave. I'm planning to take soup for my lunch and use the gym during my lunch break, it would save me so much time! Panasonic combination microwave- Isn't this the daddy of all microwaves?! We bought ours in the sale and it was very much a needs must, impulse purchase. It has a mirrored front which is a nightmare to clean and Ollie's steriliser barely fits inside it, but these are amazing, they cook your food in half of the time of a conventional oven whilst still keep all of the food's nutrients intact. Some even steam and grill your food, they are the future! Kitchen aid- I mean, is a dream kitchen really a dream kitchen without a Kitchen Aid?! In a pastel colour of course! Smeg toaster & kettle- I would say a Smeg fridge but we have a big American fridge/freezer that we love. The toaster & kettle on the other hand are definitely winning me over. They are so stylish and would look so great in a modern kitchen! Oven and extractor fan- Our oven is currently broken so a new one is definitely on the cards. I'd like a shiny new extractor fan to go with it too! In addition to my new gadgets I'd of course buy some kitchen ware from Next and other little quirky things, like one of those little banana hooks, for my new kitchen. 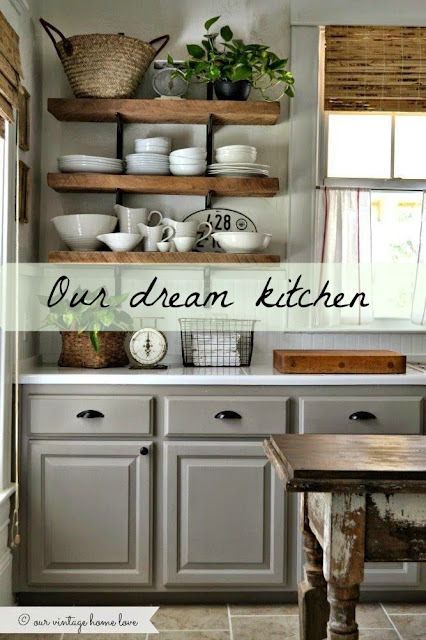 I just hope that our dream kitchen isn't too far in the distance! Weight- I honestly don't know how much he weighs exactly but I suspect it to be almost 10lbs! He was 8lbs6 at birth and although he took a few days to put his birth weight back on, he did, and then some! He's beginning to get little arm and leg rolls that I just love! I adore chunky babies! He's currently still wearing his newborn baby grows but I think he'll soon be out of those. We have our 6 week check up soon and I'm looking forward to having him weighed. What he looks like- Oliver is definitely going to be fair, just like his big sister. His hair is still slightly dark in places but his eyebrows and eyelashes are light. As for his eyes, I'm not sure what colour they will end up being. Ava has beautiful blue eyes, whereas mine are dark brown and Nathan's are green/grey so I really don't know about Oliver. As for who he looks like, at the moment there is no doubting that Oliver & Ava are related! Their baby pictures are near on identical, it's crazy. Oliver also looks alot like Nathan, especially when he was a baby and he also bares resemblances to both of my brothers. Feeding- Oliver is formula fed and has Aptimil formula in Dr Brown's bottles. He has been feeding every 2 hours, usually around 4oz but I think he is having a growth spurt as he has just had almost 5oz. We feed him on demand so it can be tricky to track when he is feeding, which to be honest I think I need to start noting down so that we can track it. Sleeping-As he's feeding roughly every 2 hours sleep isn't great. The longest stretch he has done is 5 hours, 9pm to 2.30am which was amazing although I have no doubt that it was a fluke and that it won't happen again for a long time! Personality- His little personality is beginning to come through, he's starting to try and smile which is really lovely. I can't wait until he starts to beam at us. He is such an alert baby and is starting to enjoy spending time on his play mat looking at his toys and kicking his legs. We start baby sensory class in a couple of weeks which I'm really looking forward to. How I've been feeling- In a word, tired! Nath and I have a pretty good routine going between us, I head up to bed first to get a few hours sleep whilst Nath stays downstairs with Ollie sleeping in his pram top in the front room, he'll then bring him up when he wakes so I can carry on with the rest of the night's feeds. This does mean that Nath and I don't get to spend much time together in the evenings but I do feel slightly more human for it! You may have seen this post where I talk about my feelings with a newborn, I'm happy to say that my baby blues have vanished and I'm feeling so much more positive and happy. This week Nath and I have started eating healthily and I'm actually looking forward to doing some exercise after my 6 week postpartum check. I'm thinking about doing a diary to keep you updated on how I get on. What we've been up to- Ollie has been busy in his first few weeks in the world, he's been on a couple of shopping trip, a few lunches and many coffee dates! As Nath works on the post he is out of the house before we get up in the morning so that leaves me to fly solo in the morning, getting Ava up and ready for school on my own. It's pretty stressful but Ava's a little gem and helps me so much and doing this has given me a lot more confidence about getting out and being on my own with the children. We have the Easter holidays coming up next week and I'm already planning trips out with both of them, I must be mad!